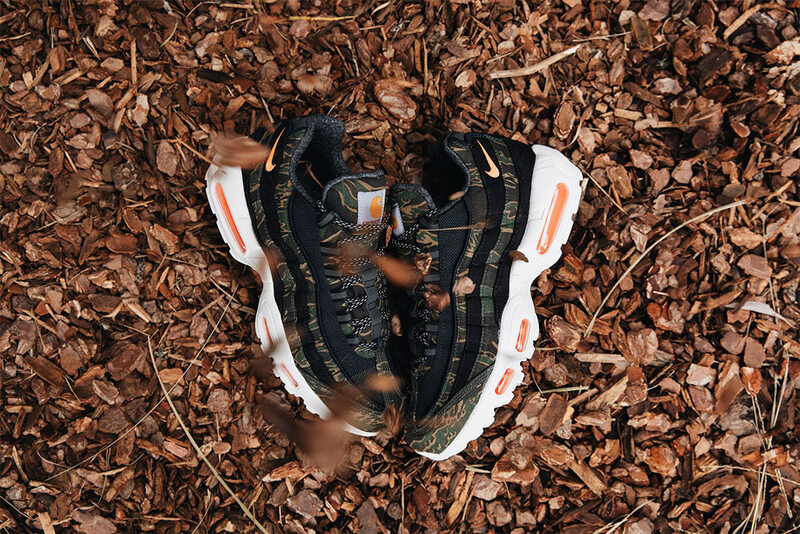 Although the year may be (nearly) drawing to a close, Nike are still set to add a few more entries into their already impressive collaborative output for 2018, with the next offering being a collaboration with Carhartt WIP. 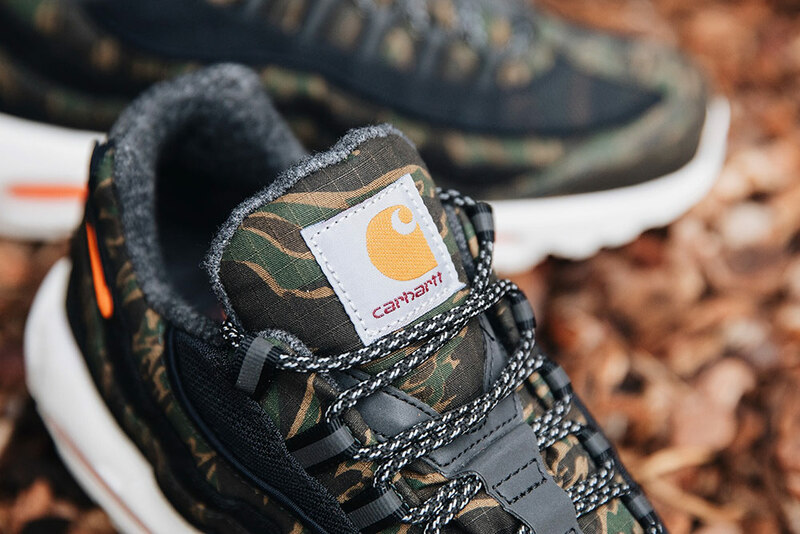 Carhartt WIP was founded in 1989 with the goal of bringing classic American workwear to a design conscious European audience, and have since been producing elevated and experimental versions of Carhartt classics, such as the Chore Coat, Anchorage Parka and Overalls. 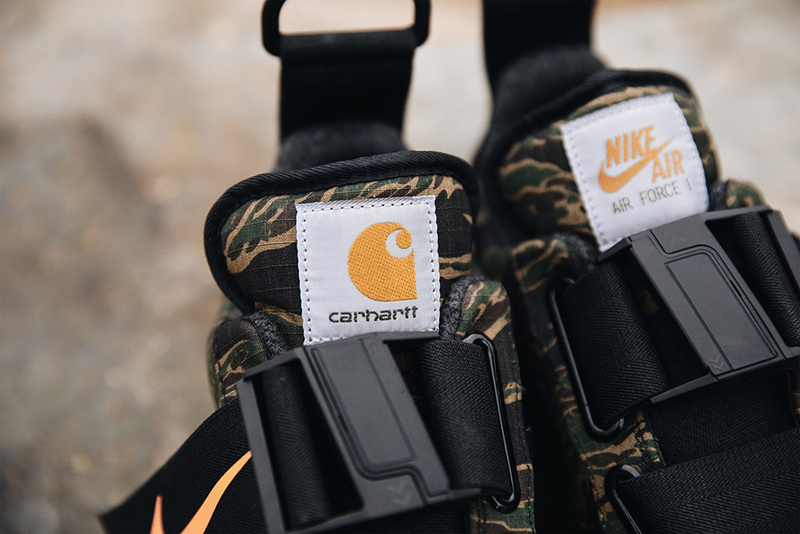 This design philosophy of elevating workwear materials is a key component in the Nike x Carhartt WIP collaboration, as all four silhouettes feature classic Carhartt materials and design elements. 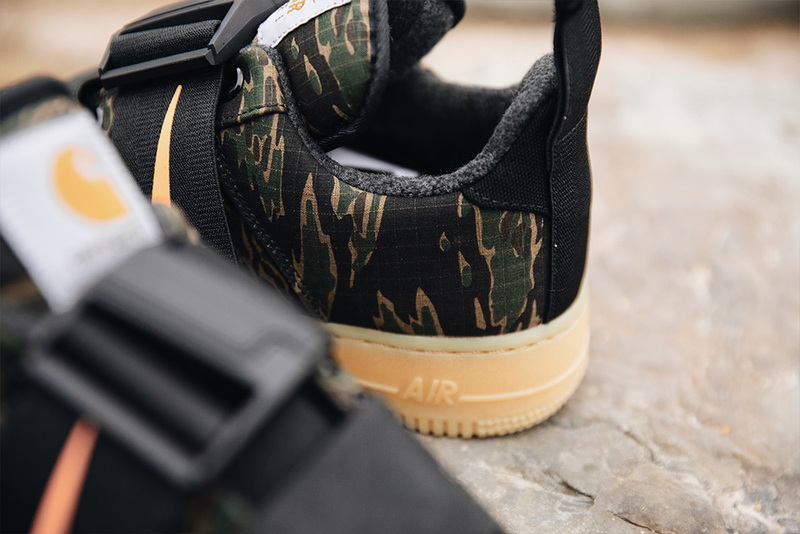 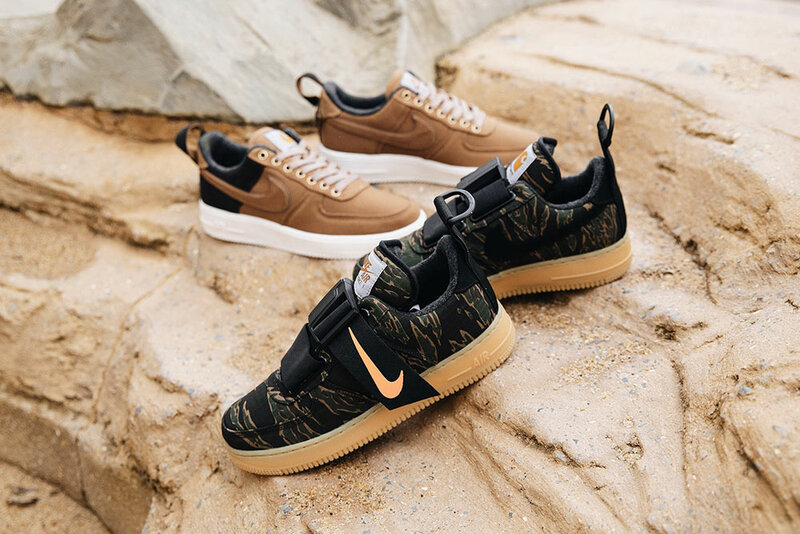 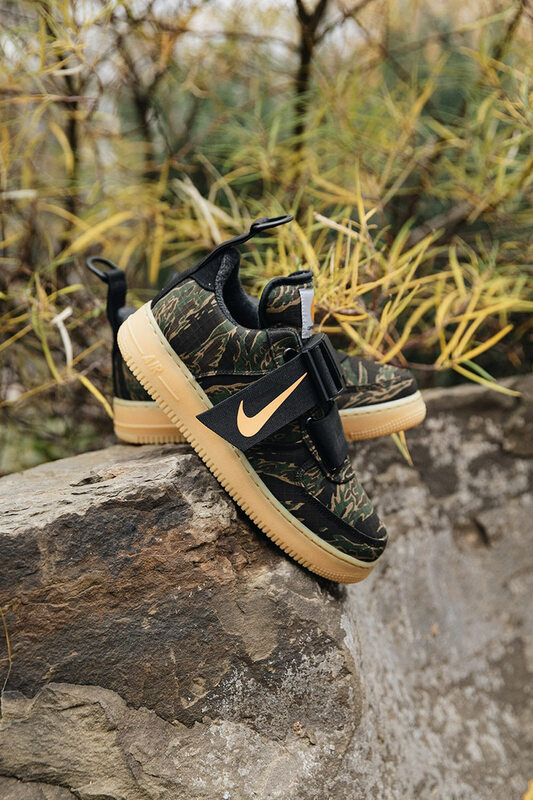 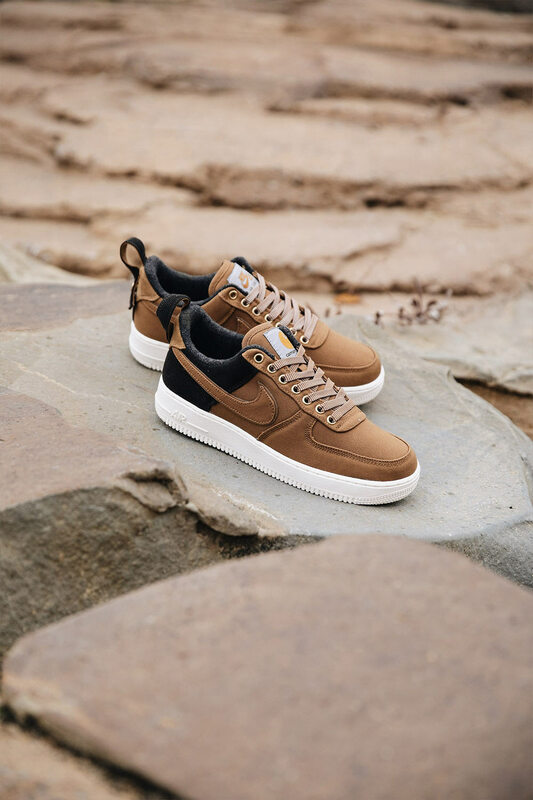 The Air Force 1 Low and Vandal High Supreme, both make use of Dearborn Canvas, with the former being dressed in the classic Hamilton Brown colour, with the latter coming in a more subtle black colour-way. 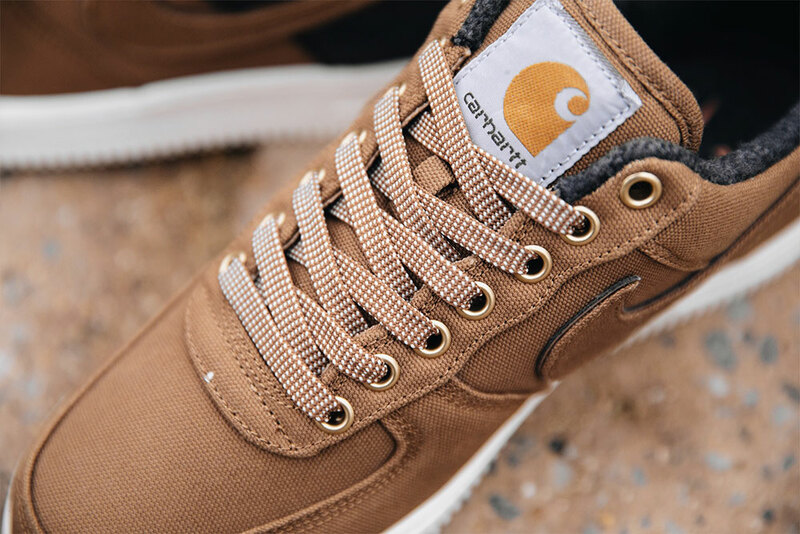 Both shoes feature iconic design elements typically found on the Carhartt Chore Coat, such as corduroy panelling on the heel, and the distinct Chore Coat lining that can be found inside the shoe. 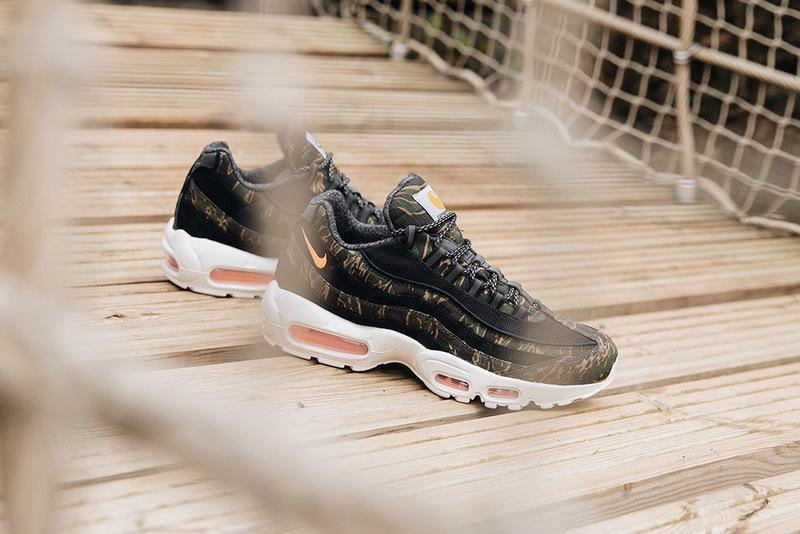 The Air Force 1 Low Utility and Air Max 95 both feature Carhartt’s Ripstop material, dressed in the brands signature Tiger Camo. 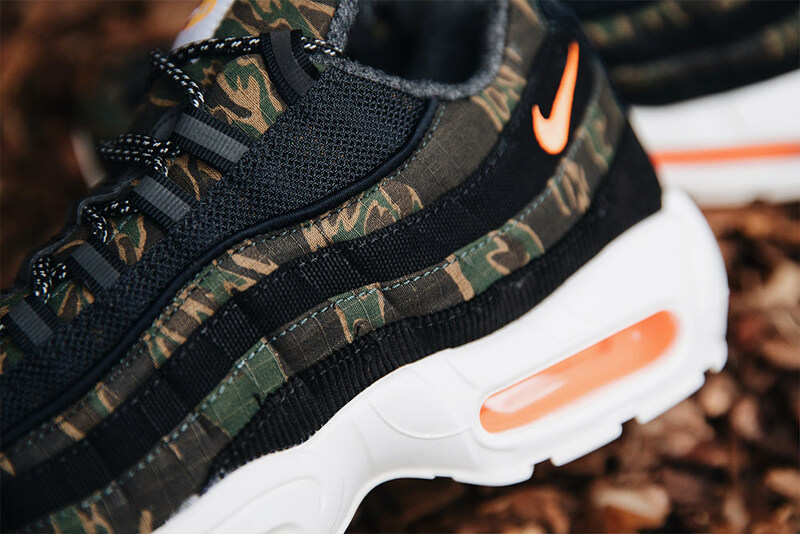 Notable design features include neon orange air units on the 95 and a magnetic fastening mechanism on the Utility Low. 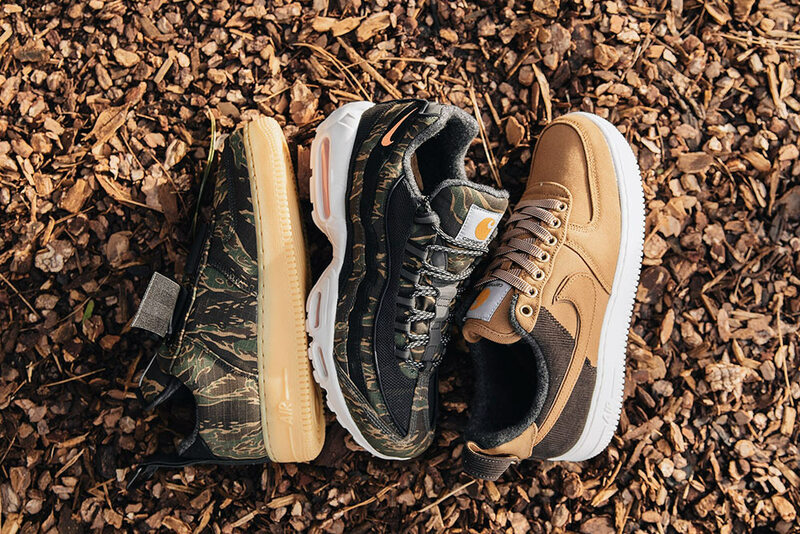 All four shoes also feature, co Nike and Carhartt branding. 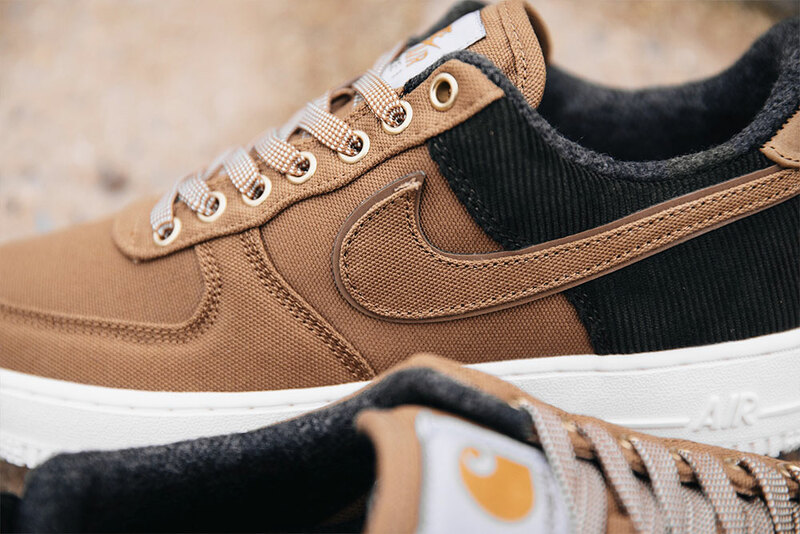 The Nike x Carhartt WIP Holiday 18 collection will be coming soon to Footpatrol…!